Yesterday I went to another old park in my city at lunch time. Since I’ve changed the settings on my XP Deus metal detector, I have yet again began to revisit old sites that I thought were bereft of good targets. At this spot, back in 2013, I found two war nickels and one mercury dime from the 20’s plus a handful of wheats from the 40’s and 50’s. 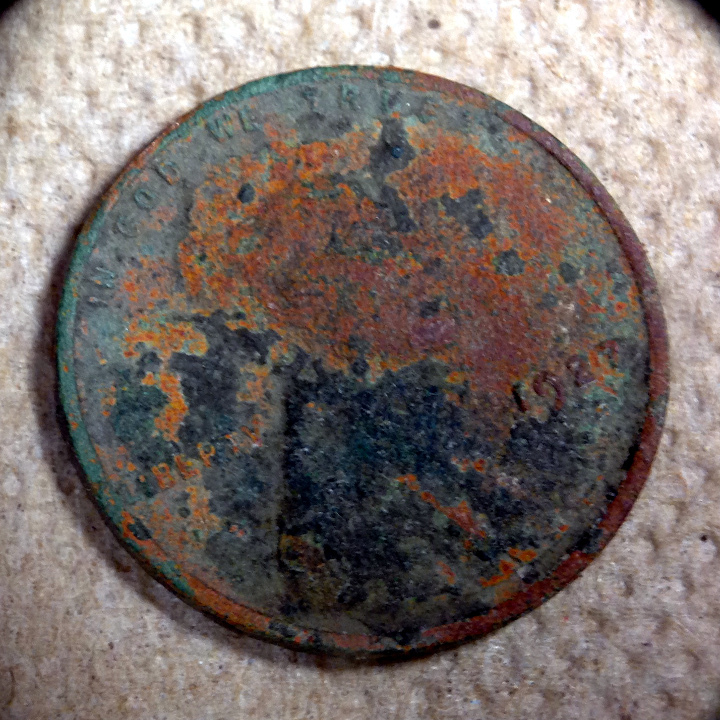 I began hunting with my new settings and before my lunch hour was over I had managed to find two more wheats; one, at a little over 8 inches deep, was a 1927D. 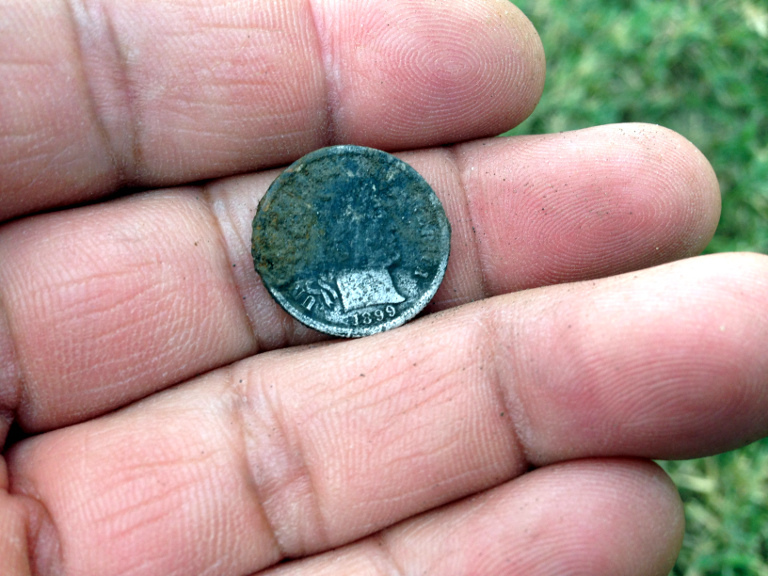 The other one, found at about 5 inches deep, was a 1952D. 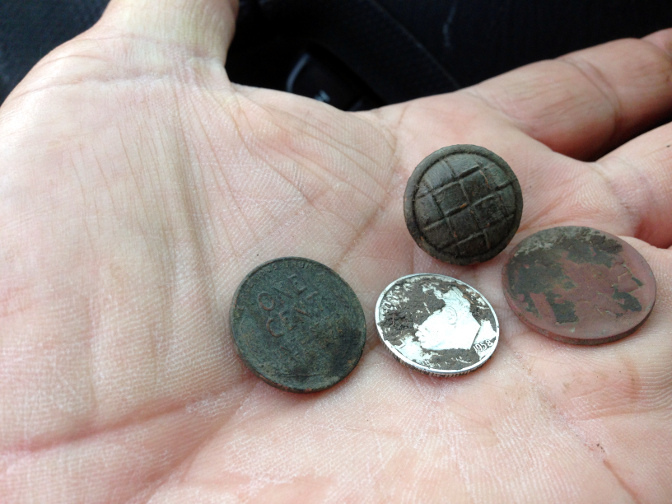 What’s interesting about these two wheats is the difference in depth at which they were found. 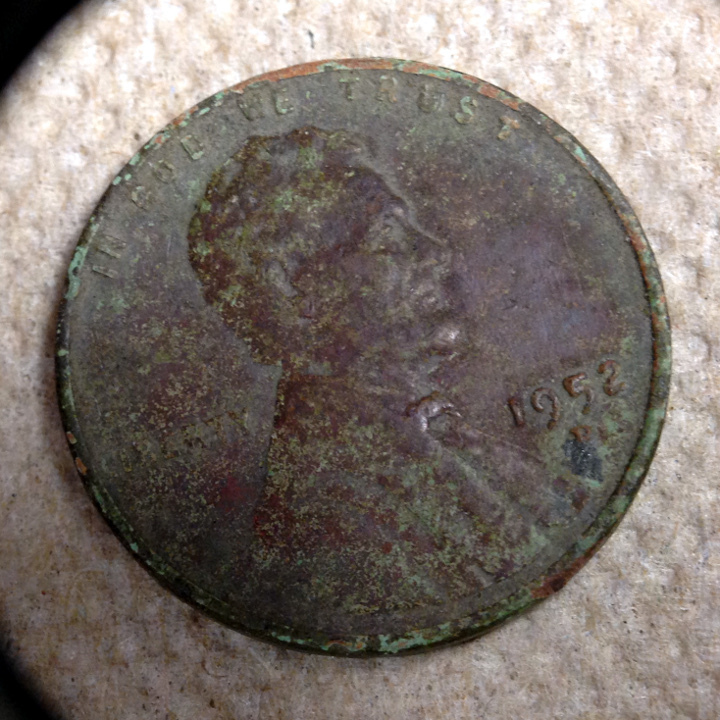 As I said before, at this spot I had found a handful of coins from the 40’s and 50s. 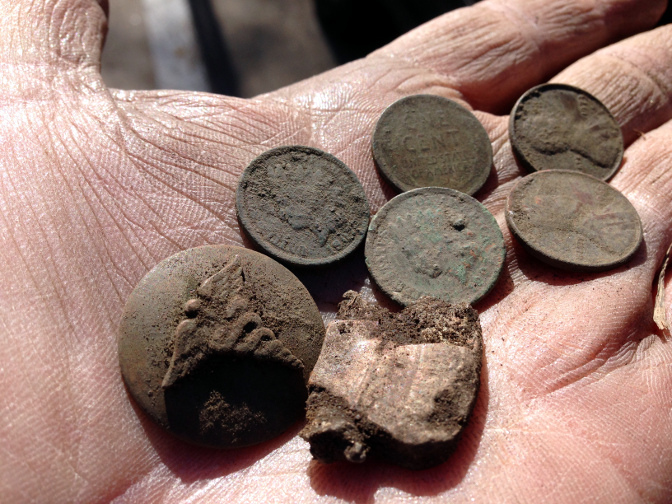 I remember well that those coins were also found around 5 inches deep except for the merc from the 20’s which was found around 8 inches deep. So why the difference? The answer lies on the fact that back at the turn of the century, a house sat at the spot. You can see the house in a 1938 aerial photograph of the park but not in a 1950 aerial photograph of the same park. What makes me think that the house was built at the turn of the century and not after you may ask? There are houses on the opposite side of the street that are of the Italianate style (that’s the proper name of the style we call Victorian) and so I assume that the house that stood at that spot of the park was also of the same style. I could be wrong. The important fact however is that by 1950, the house was gone and the land had become part of the park. 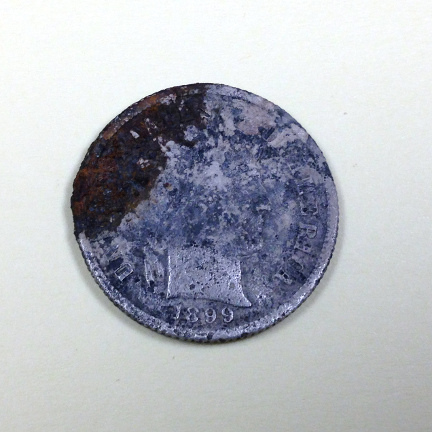 This brings me to the mystery of the different depths for the coins. 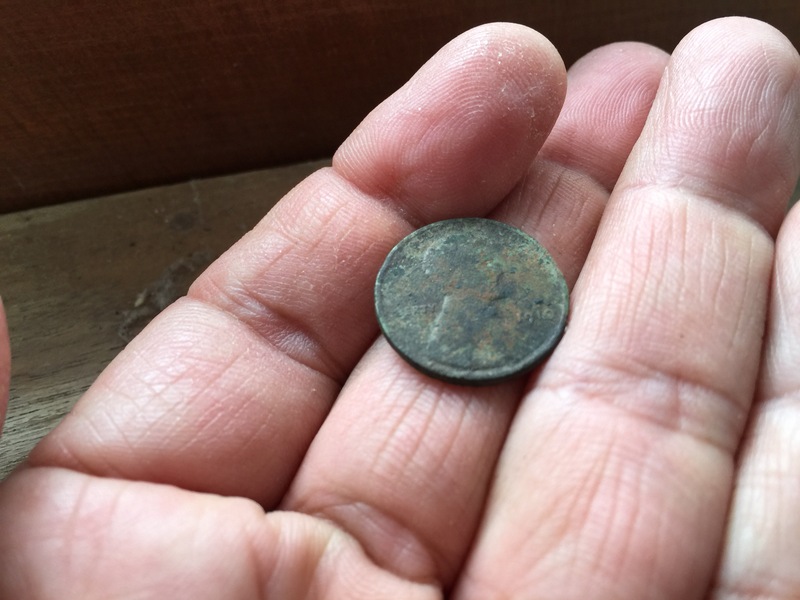 I posit that the coins from the 40’s and 50’s were dropped by people using the park after the house was gone but the older coins from the 20’s were dropped by the inhabitants of said house while the house was still standing. 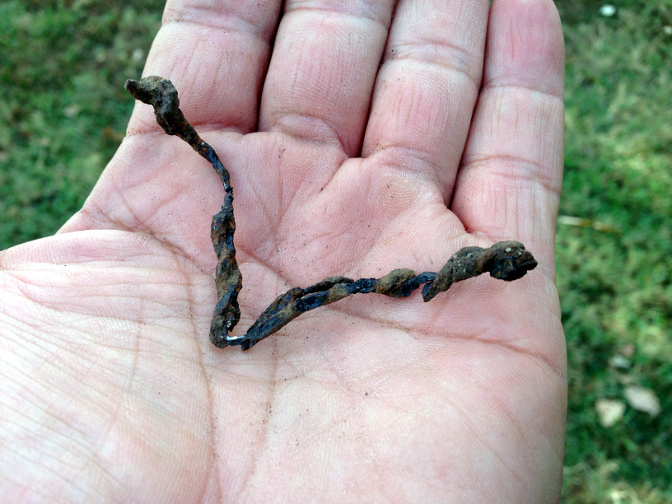 This is probably of no interest whatsoever to neurologically typical folk (that’s fancy scientific talk for what we call normal) but to metal detectorists, this information is of great value. Now I know that there are things from an earlier time deep in the dirt there. I am still digging old house parts from there; you know, the stuff made of brass and ornate even though they were utilitarian objects such as valves and such. Another thing that I now know is that I must remove all the trash near the surface so that I can reveal all the deep and old stuff that is being masked. One last thing; I tell people that a mid level detector such as the AT Pro or the F5 is good enough to find 80% of what a high end detector will. This begs the question as to why we should spend the money on a high end detector. 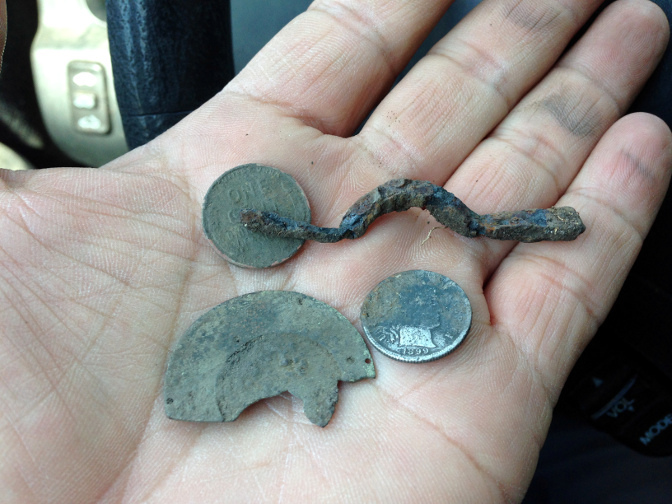 The answer is that a high end detector can grow and change and add dimensions to your hunt. I am not advocating you should run and spend a couple of grand on a new machine. Let your present machine pay for a new machine later. When you are more experienced and are ready to expand your hunt, consider a high end machine.